I don’t know about you, but when I pack up my outdoor gear at the end of the fall season it’s, ehh, not the cleanest should we say. Maybe I’m lazy, but usually at that point it just doesn’t seem so important to me that everything is nice and clean. What’s important is that it’s put away and I’ve moved on to the next thing in life. Hopefully I’m not the only one that thinks this way, and either I’m not lazy or we’re all lazy. Whatever works. The thing is, almost every year on the last few trips things are just muddy and wet. Naturally everything picks up a ton of dirt. Are you really going to hose and brush everything down? How are you going to get it dry without bringing all of that into your house when it’s cold and wet outside? Maybe someone else out there has a practical solution, but I just pack everything up and wait to deal with it when the sun and the warm weather are back. At the end of a busy outdoors season my super high quality pair of boots often look like they’re destined for the trash can. They’re covered in leaves and pine needles, caked on with layers of dirt and soaked through with muddy water from the many puddles I had the misfortune of stepping in. I know what’s underneath though, and that’s my good old trusty pair of boots. I just have to bring them back to life. So, first things first I’ll smack the living crap out of the to knock off as much of the dried and crusty debris as I can. You might want to cover your face when you do this, because so much dust and dirt flies up in the air you’ll be wondering if there’s a sandstorm. 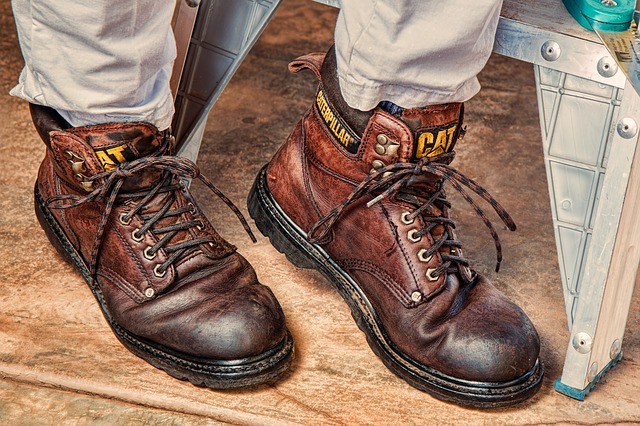 Then I’ll take a firm brush and while the soles are still dry I’ll continue knocking debris out of the tread. Once that’s all said and done it’s time for the garden hose, and I’ll hose those suckers down until the water starts to run clean. Then I’ll hang them out in the sun until they’re as good as new. On any given year my tent has likely seen some serious action. The first thing I’ll do is find a dry patch of land and get it set up so that I can do a basic damage assessment. While the tent is relatively dry – albeit awful musty – I’ll remove any leftover goods (train tickets, napkins, receipts, etc.) 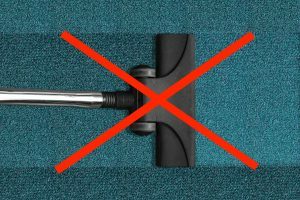 and take the opportunity to vacuum out all of the debris that had accumulated over the year of use. Once the tent is clean on a dry basis, it’s time to actually get the material back in top shape. Usually my neglect has led to some mold forming on the outer and potentially inner walls, and once again there’s usually mud everywhere. I usually find a pressure washer works best for getting rid of both of these, as a gentle stream of high-pressure water loaded with detergent seems to be quite effective. If you don’t have one already, I’d recommend reading through some electric power washer reviews. They are quite affordable and even more useful. Once I’m done washing I’ll give the tent a chance to dry, then I’ll treat all of the outer surfaces with a good water repellent to keep the coating in good shape to hold up through the upcoming season. No, not reign deer. Rain gear. You know, like my rain jacket and rain paints. Duh. I treat my rain gear very similarly as I do to the tent, with the exception of the fact that it is not resilient enough to stand up to the high pressure stream from a pressure washer. Instead I’ll hang them all on hangers, empty and invert the pockets, and wipe away any debris. Many people will put their rain gear in the washing machine but I find that this seems to have a hugely negative impact on the fabrics, seriously reducing their usable life. Instead what I’ll do is hose them down and use a sponge to gently lift any dirt and grime that has built up on them. Then I’ll let them air dry in the sun thoroughly. Again, once they are dry I’ll use waterproofing spray to preserve the resistant properties of the Gortex. This will help them stay in good shape for years to come. If necessary, I’ll mend any minor tears or split seams with a needle thread, and I’ll put extra sealant on any of those repairs because I know from experience that my craftsmanship is a bit lacking and they’re prone to leakage. With all of that behind me, I’m ready for the next outdoor season. This year I’m going to try to do quite a bit more hiking, as I feel I was spending a lot of time on flat ground last year. It was great fun, but you have to change it up from time to time. Paintball played speedball method can provide a good rush of adrenaline. It is a fast-paced game. The field of play is small. The strategy and equipment will vary when playing speedball version of paintball. 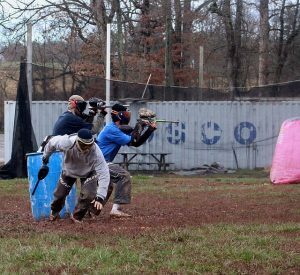 The rules for speedball is different than traditional woodball version of paintball. 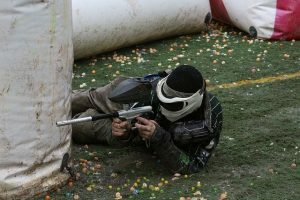 Paintball can be expensive, but it really determined to how much the player will be willing to spend on equipment and how often they might play. You need to try paintball especially speedball. The field of play for speedball can be an athletic field. The field size will be about the half the size of a football field. There are not many places to hide during a game of speedball. and contain man-made bunkers. The bunkers will be any shape and they are normally inflatable. The games can be held indoor or outdoors. The game of speedball is short and can be quite intense. The teams can consist of three to seven players. Speedball is the version of paintball that is played professionally. It does require some strategy to win. Strategy will be influenced by on the setup of bunkers, number of players in the game, and purpose of the game There are games that last about 2o minutes. Since the games go by quickly, you are able to play several games in a day. Many people consider speedball very addicting. You can play the game once, and you will want play it again. People are addicted to the fast pace, rapid firing of the marker, and fun you will have with your friends. The equipment is required to get total enjoyment out of speedball. The most important piece of equipment would be the mask. You want a mask that is not going to fog up too quickly on you. The less expensive mask may fog up little quicker than other masks. Mask with thermal lenses will reduce fogging, but the type of mask may be the most expensive. The marker is what the paintball gun is a called. For speedball, you want a marker that will fire rapidly. You would check how many paintballs the marker can fire per second – the best speedball guns can fire upwards of 15 balls per second! By having fast marker, you may sacrifice reliability of a marker. The rush of playing speedball would be rapid fire of the markers and dodging behind the bunkers to prevent from being hit. Strategy changes as the game moves along and players are eliminated. The game is fast-paced, and you need constant communication with teams to have a chance at winning the game. Players are more aggressive with their moves and play in speedball. Teamwork at a fast-pace is very rewarding when the team is able to win. Players scurrying about trying to get to bunkers without being hit. Speedball can be addicting and fast-paced, but it can also be expensive. A good marker can easily cost over $1,000. The use of CO2 and compressed air for the markers to fire will cost the player to refill. The pricing you will pay for playing field rentals. Price of playing paintball will be driven by the players’ preference to how much they want to spend. 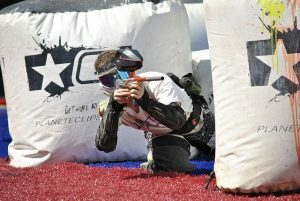 A player who wants to play with great equipment and is very involved with paintball will spend more. The beginner may look at the sport as casual and spend small amount for games on the weekend. The task of finding a place to stay when you’re traveling can be extremely daunting. Not only are you visiting somewhere that you’ve never been, but in many cases your native language won’t be the norm in your destination. Don’t let this turn you away! Here are some tips to make it easier on you. Make every effort to get your ducks in a row well before your intended travel dates. Six months or more is preferable. This not only allows you to get the most affordable prices, but it also puts your mind at ease knowing that you have a plan in place and will not be left on the streets. Without a doubt, when making reservations choose the refundable option. 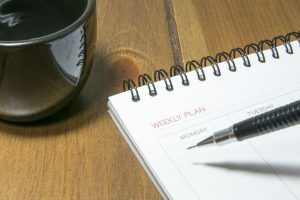 Plans change – just take my word for it. You’ll end up kicking yourself when the day comes that your flight gets rescheduled, you get sick, or you simply have a change of heart while you’re on vacation. This may seem obvious, but if you have friends or family that have been to the area, let them know that you’re going and see what they have to say. They may be able to recommend a particular hotel, or even tell you to stay away from one, which can be just as helpful. 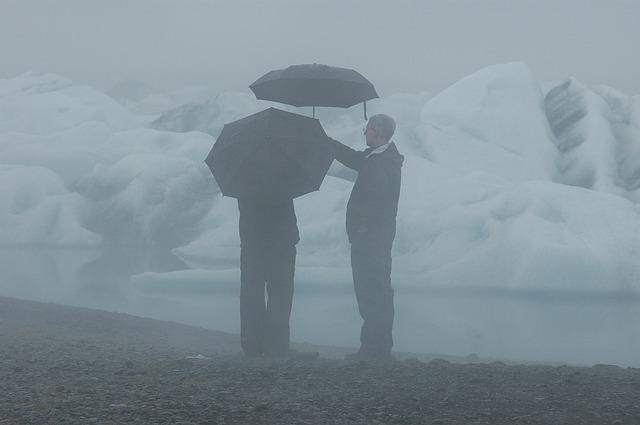 In the best of cases, you can even have friends that live in your destination. This can be enormously helpful for many reasons. They can show you around the town, point out places to visit and places to avoid, and generally act as a tour guide (for free!). Plus it’s nice to have a friend to enjoy your stay with. 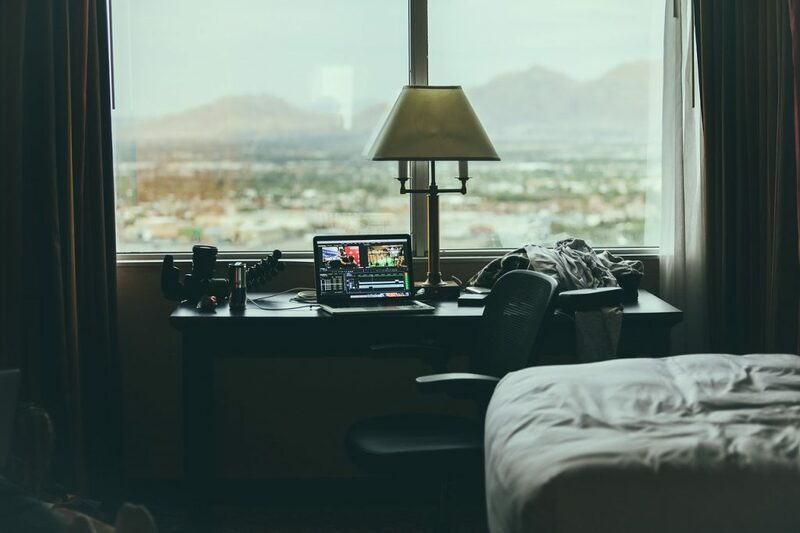 Most relevant to this post however is that they may even offer to put you up in their guest bedroom, which can save you a fortune and get you off of the beaten tourist path. As you get older, this advantage gets better and better. On my recent trip to Spain I stayed in my friend’s beautiful guest bedroom for a few nights, and I slept on the most comfortable futon I’ve ever used. Just remember, if your friends were traveling to your home town, wouldn’t you be happy to put them up and show them around the city? Make sure you know what you are getting into. 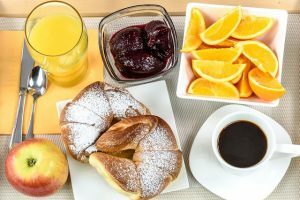 Maybe you can’t afford hotels that have all of these amenities, and maybe it’s not important to you if they do. 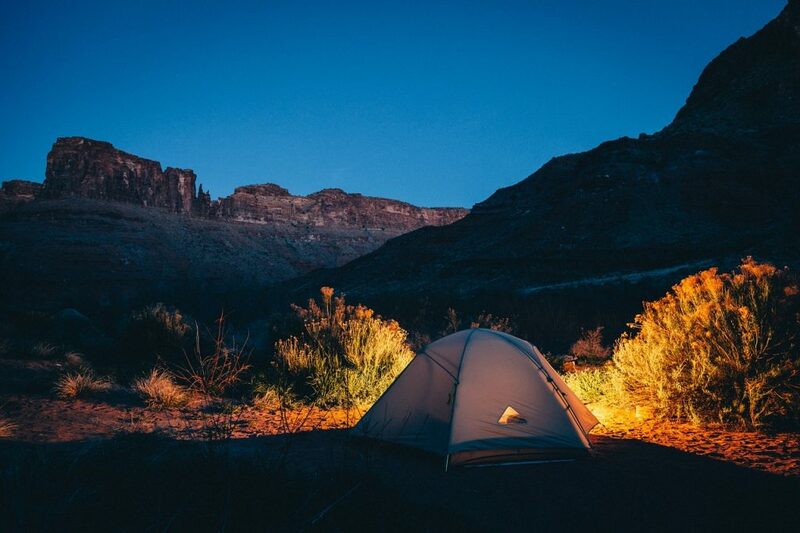 The most important thing is that you don’t want to get surprised when you show up to your destination and be left without a key accommodation that you were depending on. This is truly a must. Having your home broken into and your valuables stolen will really hit you hard, especially if you lose a family heirloom. 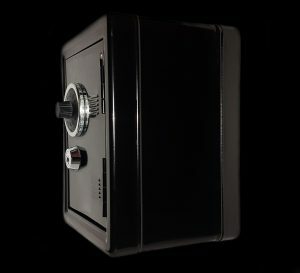 A safe can keep your valuables such as jewelry, cash, and expensive electronics from being stolen while you are away. Just make sure that you get a quality product, and that you properly mount it upon installation. Along similar lines, a firebox is a great place to store important documents and other heat-sensitive materials while you are away. God forbid anything happens, but even a safe wouldn’t save your birth certificate from perishing if a fire were to break out while you are out of the country. There are plenty of models to buy, just make sure you get something that is big enough for all of your sensitive belongings, has sufficient insulation, and is capable of locking. You wouldn’t want the firebox to tumble over and spill its contents in the worst case scenario. The next couple of items are definitely not required, but are certainly a luxury. Since I’m on the road so often, I don’t have a lot of time to spare. One way to free up some extra time is to outsource your daily tasks to others capable of doing the job. Luckily, these days you can buy robots that do some of your household chores for you. Notably, a vacuum robot has really been a huge time saver. While it doesn’t get all the nooks and crannies in the room, I’d say it gets 80-90% of the floor cleaning done, meaning my work in that particular area is cut down by to at most 20% of what I normally have to do to keep my home looking presentable. Popular brands include the iRobot, or my choice the Eufy Robovac. Nothing puts you at ease when you’re on the road more than knowing your life back home is secure. 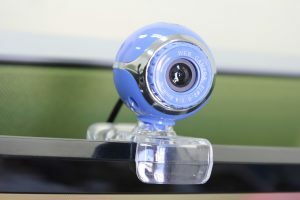 These days you can buy web cameras for seemingly pennies compared to prices of earlier years. Better yet, most come with apps that you can use to log in and check on your house from the comfort of your mobile phone. Just make sure to have the camera pointed at the most important parts of your home and you’ll be good to go. You don’t have to worry about logging in all the time either, as many web security cameras keep archives hour by hour, at least for some period of time. Make sure to get a wide angle lens for the most coverage for each camera purchased. Well, there you have it. 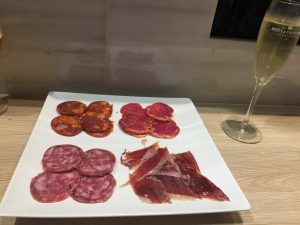 I’m about to head out on my trip to Spain, and I’m sure I’ll have some fun stuff along the way. Stay tuned and as always, thank you for reading! It’s getting to be that time again. Soon enough I’ll be off and on my way to Spain to see a number of new cities in such a beautiful country. 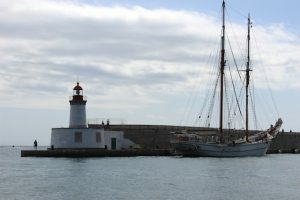 I’ve only been once before, and did a quick stint in Barcelona and a longer stay in a more remote town in the Costa Brava. This time I’ll be seeing a much larger variety of cities, and I’m eager like a child on his first vacation. In addition to sorting out last-minute logistics and planning my packing, I sat down for one of my favorite pre-travel rituals – watching some informational footage by Rick Steves. Rick does an excellent job on his travel shows, and they served as formational videos for my childhood. I even crossed paths with him once in Athens – I didn’t have the opportunity to introduce myself unfortunately, but just being in his presence made my spine tingle and filled me with joy. It brought me back to my early childhood. I particularly like this video, as it is a bit of a shift from the normal travel videos and, I find, a bit more candid. It’s pretty cool to think about the history of the country, and how much influence the Moors had in forming the country. Naturally, they have a bit of a bad reputation in terms of the history books, but their impression on the country’s culture brought a unique flare. This comes through particularly in the architecture of the south of the country, and hopefully I’ll be seeing some of that along the way. I will be spending some time along the south eastern coast, seeing a few of spots that are high on my list for relaxation purposes. However, I’m really looking forward to seeing some of the other cities – Madrid in particular. I have only been to the Catalonian region of Spain before, yet I don’t speak any Catalan. My background, like most people who learn Spanish language in high school in the US, is in the Castilian language. Castilian is spoken in Madrid, and basically anywhere that more to the north and/or west of the country. I always enjoy a city more when I am able to immerse myself at a deeper level so I’m quite excited. So, what’s on the schedule for me? Well, I’ll be staying a nights in Valencia, just to get a quick feel for the place. 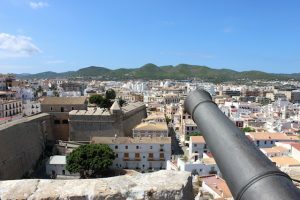 Then I’ll be off to Alicante, which is a beautiful seacoast town. I’ll be there for a while so perhaps I’ll be making some day trips when I have a chance. Then I’ll be off to Seville, passing through Madrid as the train system necessitates. This has been on my bucket list since learning about it over a decade ago, and I am very excited to see what this quaint and romantic village has in store. Finally, I’ll post up in Madrid for a while before my trip comes to a close – it will be a sad day indeed, but unfortunately it is inevitable. Well, back to travel prep for me. I’ll make sure to stay up to date! Welcome to Adventure Sauce! My name is Jeremy and I will be using this site to document my travels – past and future – so that I can share my favorite experiences with the world. I want to thank my friends and family for encouraging me to take this step, your support (and sometime relentless nagging – you know who you are :)) has made it happen. Normally I’m not much of a writer, but hopefully this is a helpful way to get my foot in the door. In the interest of getting started, here are a few pictures of my trip to Paris back in 2014. 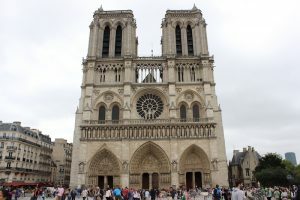 First and foremost is the Notre-Dame cathedral in Paris. This was my first stop in the trip, and as my first impression it is certainly one of my stronger memories. It was built in the medieval times, and (as you can clearly see) is considered a prime example of gothic architecture. Bejeweled with gargoyles and pointed structures, it was not only quite impressive but also invoked a strange, eery feeling just being in it’s presence. If it weren’t in the middle of the city and thoroughly populated with people, I’m sure it would be actually quite creepy. Pretty cool though, and definitely some of the more complex architecture I have come across. 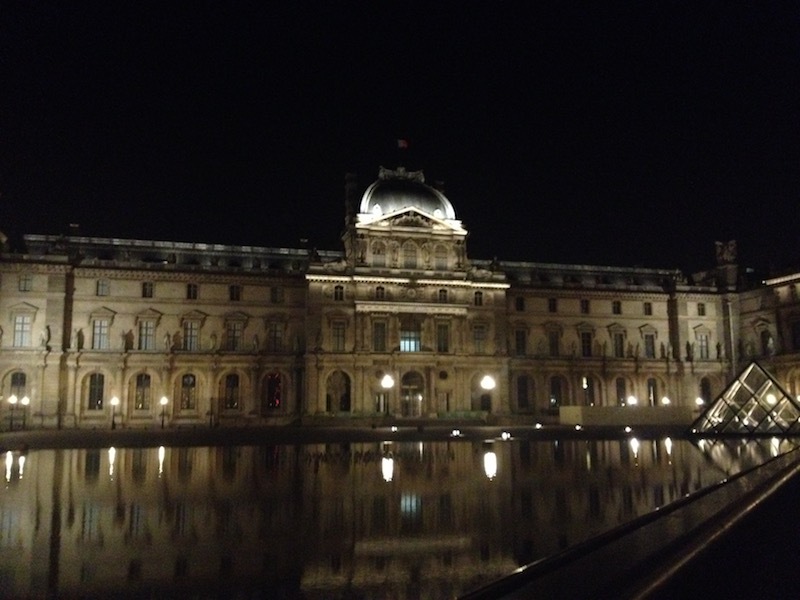 Next up is the Louvre, which obviously speaks for itself. I really liked this night photo capturing the reflection off the water, but it doesn’t quite capture the sheer impressive size of the structure that you see in the daytime photos. Standing in the building’s presence it was hard to imagine how humans could have possibly built something so huge without all of the construction technology available today. How did they even get that many huge rocks to the center of France, let alone make such beautiful buildings out of them? I’m sure historians know how it all worked, but being there and trying to imagine it was simply stunning. I didn’t make it inside during my short stay, but I’m told there are tons of museums and artifacts that may be worth a trip. 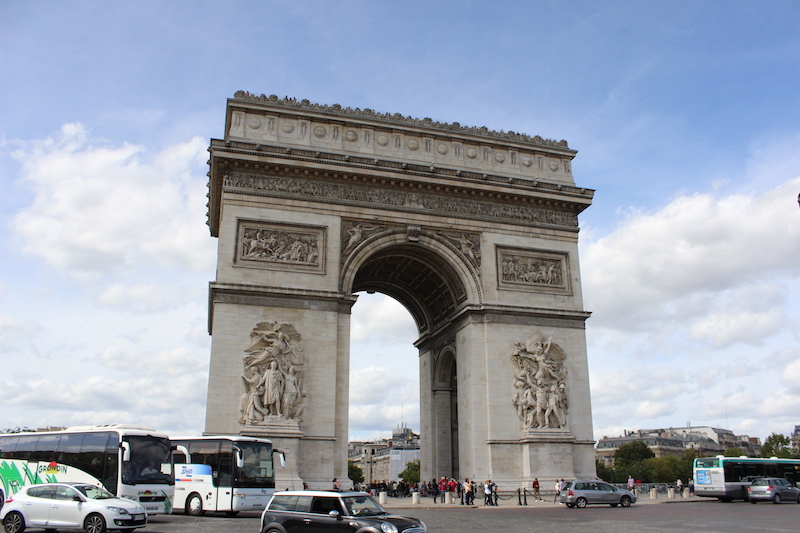 Then, of course, there is the Arc de Triomph, with the hectic rotary circling it. In order to actually get up to the arc you have to go into an underground tunnel and come up through the stairs. Also a very impressive structure, as with seemingly all things Paris. 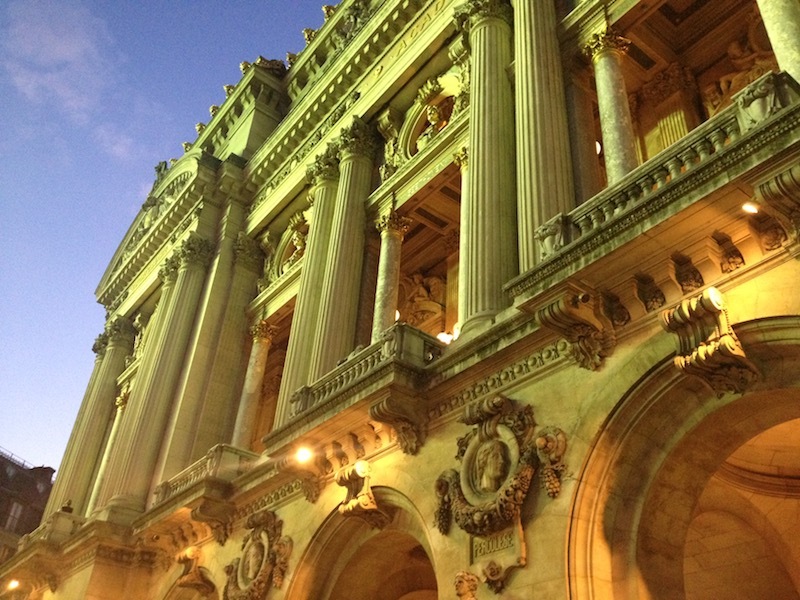 The last two photos for today are of the opera house, called the Palais Garnier. What’s really cool about this photo is that the green hue reflecting off the the face of the building is not from a photo filter, but it was actually happening as the sun was starting to set. I was so proud that I could actually capture it, because it was truly an amazing site. 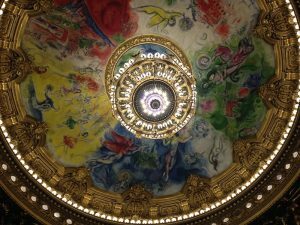 We actually went in and saw an opera showing. While I don’t speak French very well, I’m pretty sure the show was terrible. We left after the first act. It was a nice experience nonetheless, the opera house was pretty impressive. Plus, it was my first time in an opera house. Well, that’s enough for today. I didn’t get to the point of talking about the wonderful food, or the time spent at the notorious cafes, but perhaps that’s for another day. Thanks for stopping by, and please come back soon!